Seasonal wear-and-tear takes its toll on parking lots, exploiting cracks and leaving original pavement looking dingy and old. The cooler fall temperatures signal winter freezes soon-to-come, which mean even more damage is on the way. A shabby looking parking lot can make an impact on your bottom line in more ways than one. Not only does it ruin the overall storefront appearance, it can also result in safety issues and necessitate more costly large-scale repairs. Your parking lot is the first impression your customer has of you. 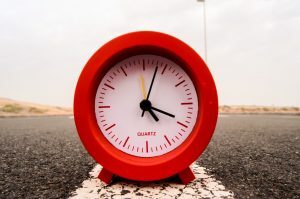 Before they meet your front desk staff or experience your customer service, do you really want them pulling into a pitted, poorly-maintained parking spot? Further, uneven pavement and faded markings can cause trip and fall accidents and parking lot confusion. 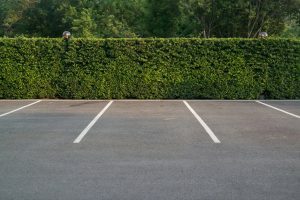 Luckily, you can avoid a negative first impression with regular parking lot care from the experienced professionals at XSealer. 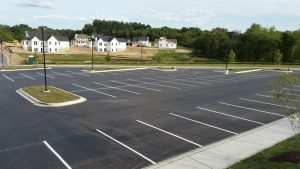 We offer services that can help sustain the life of your parking lot including paving, patching, sealing, and painting. 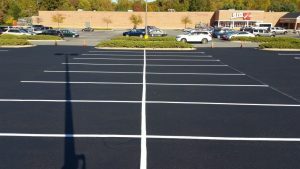 Plus, we can also apply an asphalt sealcoating to your parking lot. 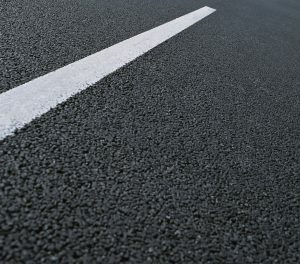 In about a day, we’ll ­­­create a clean, smooth pavement that presents a positive image you can be proud to have customers drive into.­ Once the coating sets, we will paint clear markings that increase visibility and safety for customers driving in your parking lot. In the long term, asphalt sealcoating will reduce repair costs in a few ways. Asphalt sealcoating prevents water, snow, and ice from seeping into small cracks. These cracks eventually cause potholes that can be expensive to fill. It also prevents damage due to oxidation or oil spills. And, it extends the overall life of parking lot surfaces by adding a layer of protection. We’ve been helping our clients make a great first impression on customers for over a decade with sealcoating and other driveway and parking lot services. Our local owner and his team are on-hand and ready to service your business parking lot. Whether you need pothole repair, paver replacement, or think sealcoating is right for your parking lot: we are here to help with a plan that suits your goals and budget.